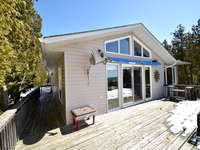 Listed at $475,000 but SORRY This Property is Now Sold. 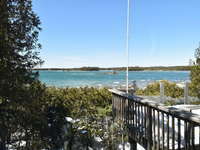 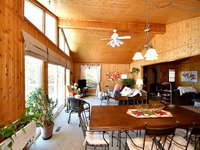 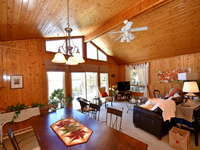 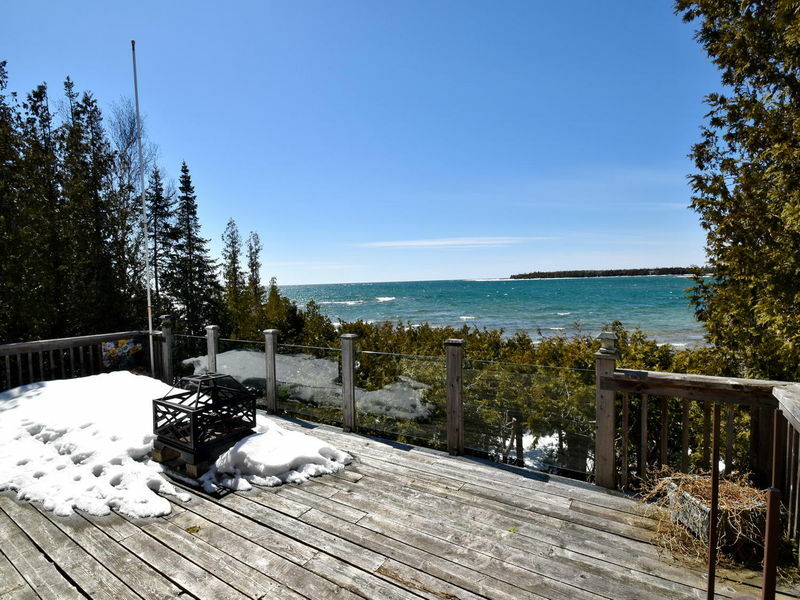 Fantastic waterfront & year-round sunsets! 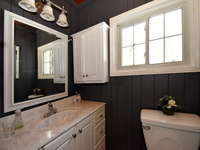 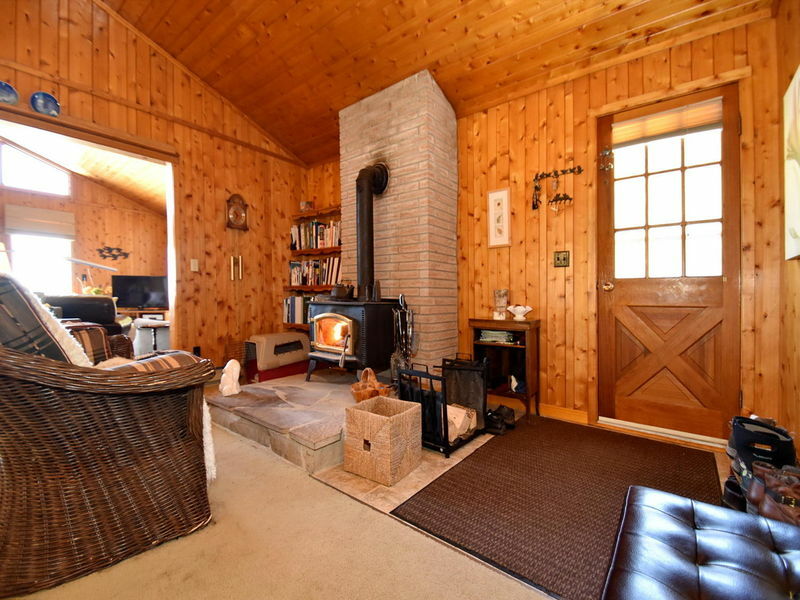 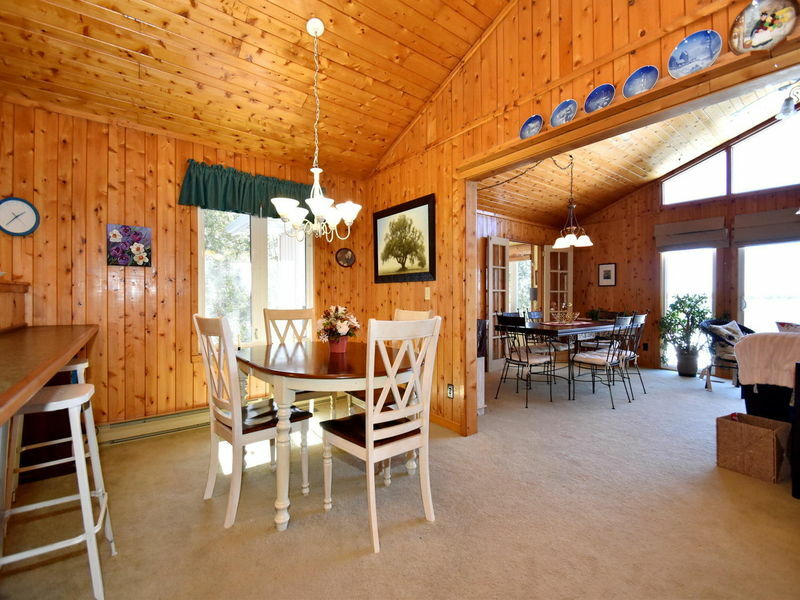 Bask in the charms of this nicely-kept home/cottage with easy-care landscape. 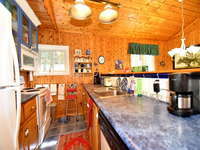 One of the great things about this pleasant home is its location on a quiet street, with parkland across the road! 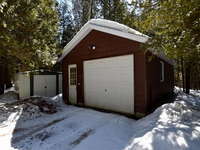 Nicely treed lot for additional privacy. 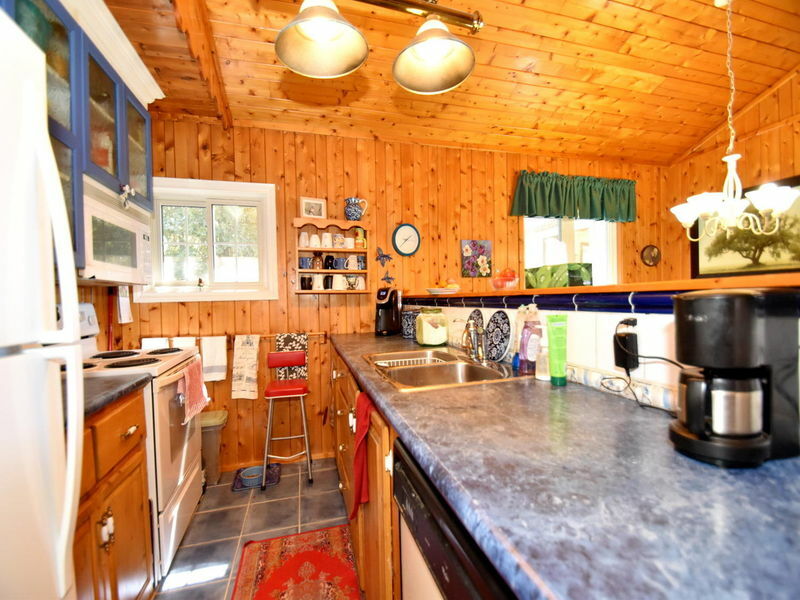 Inside you are greeted with a light & airy open plan, perfect for entertaining! 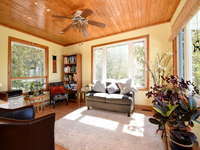 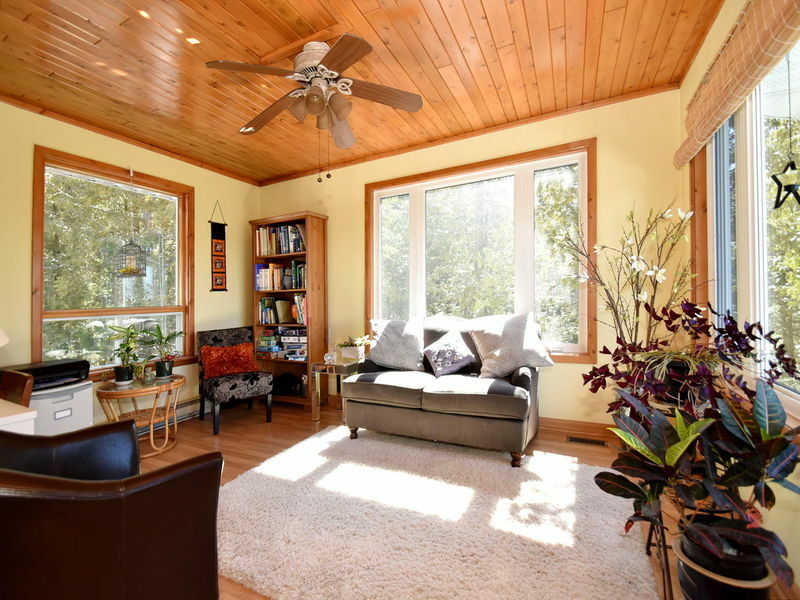 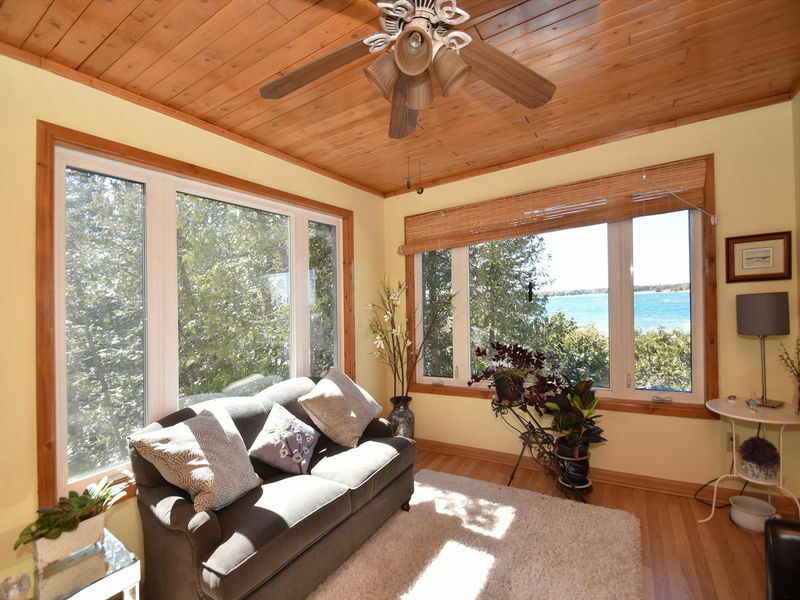 The cozy, comfortable sunroom is the answer to your wish for a quiet retreat, where wonderful water views and sunsets await. 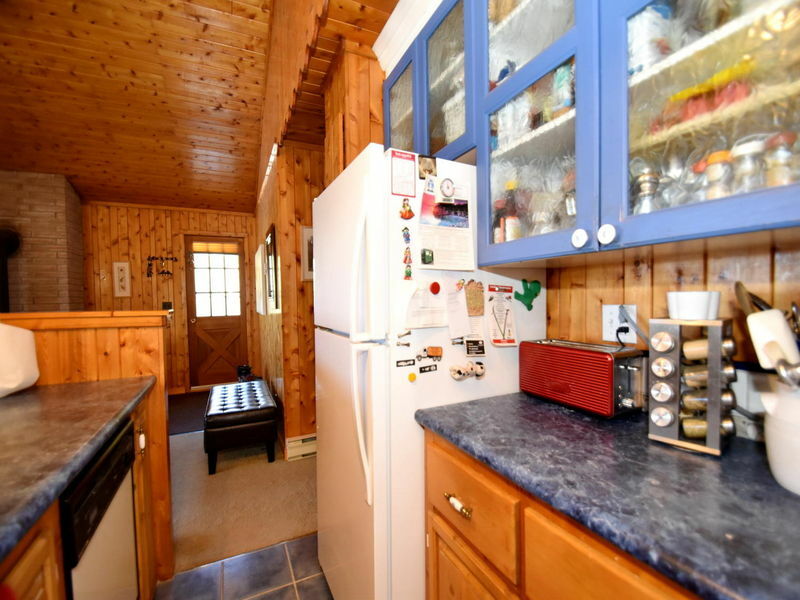 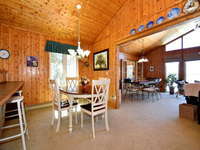 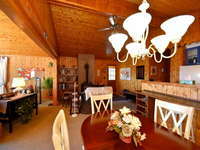 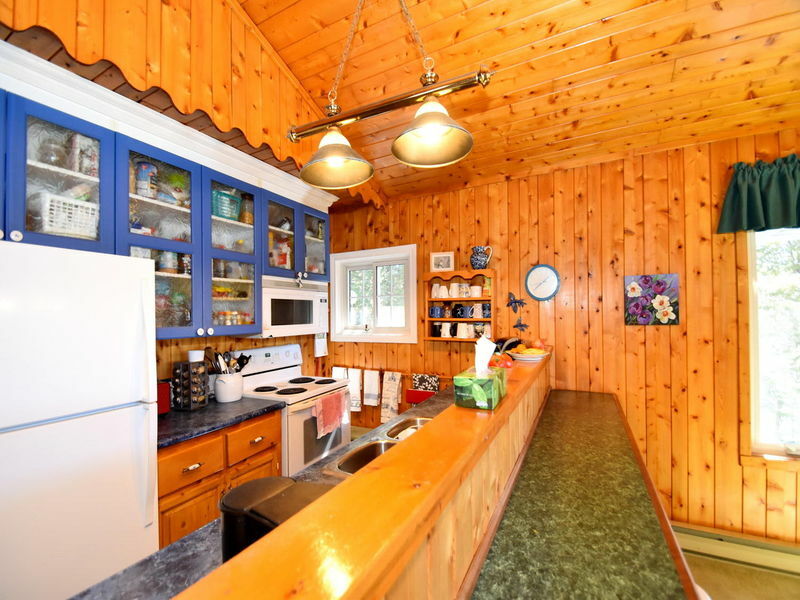 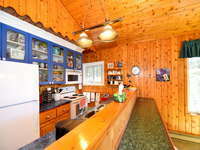 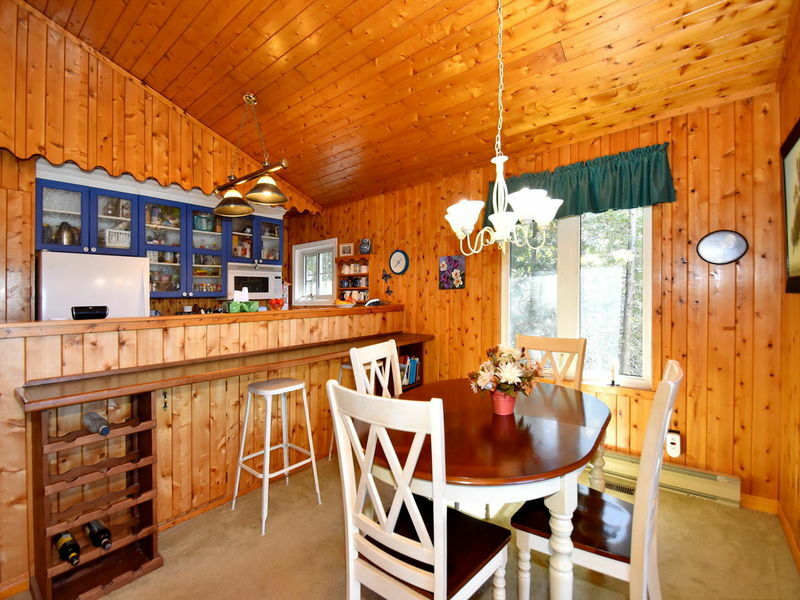 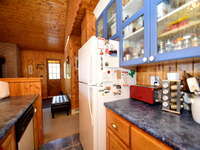 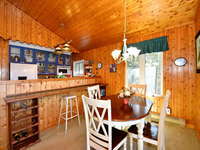 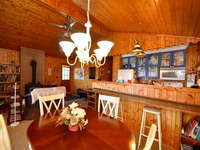 Everyday meals do not have to be formal with the country kitchen, breakfast bar & dinette area. 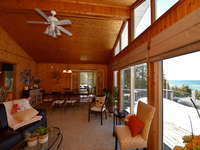 Large deck w/ glass railing. 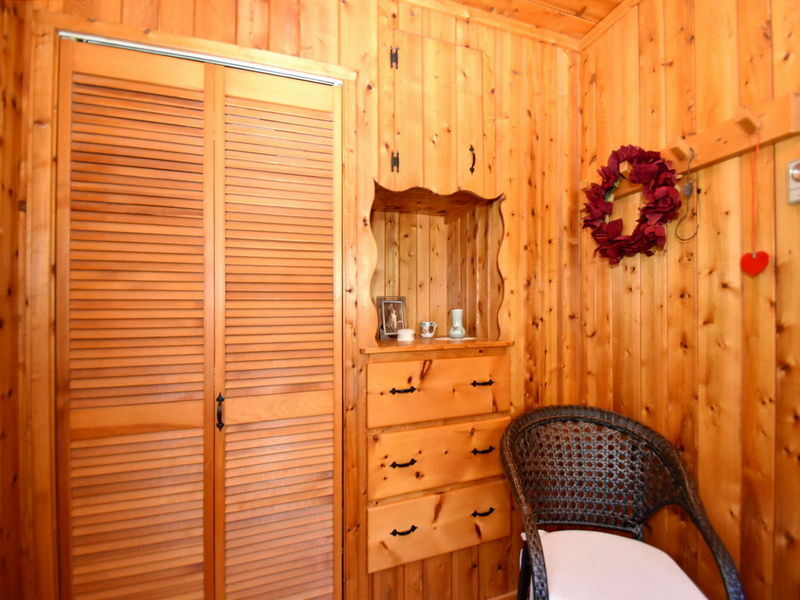 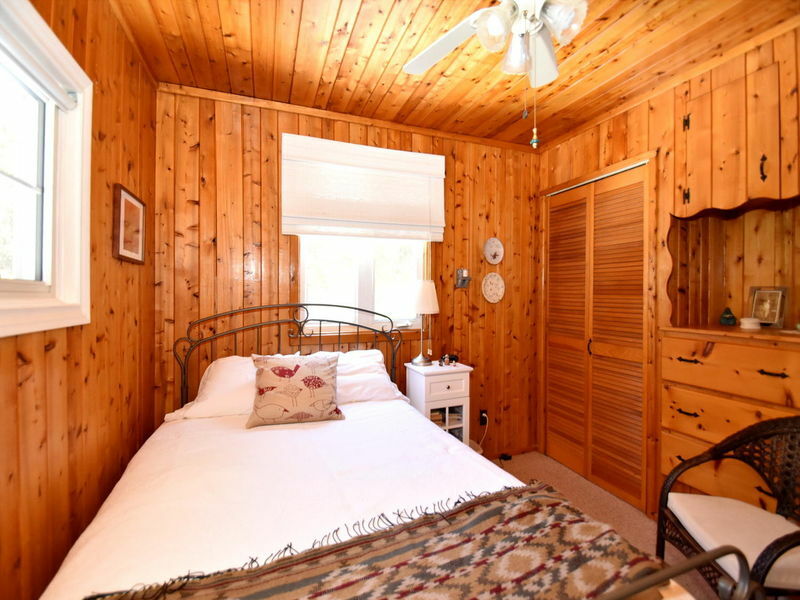 Charming wood features & built-ins! On the lower level, you have plenty of room for guests with the large rec. 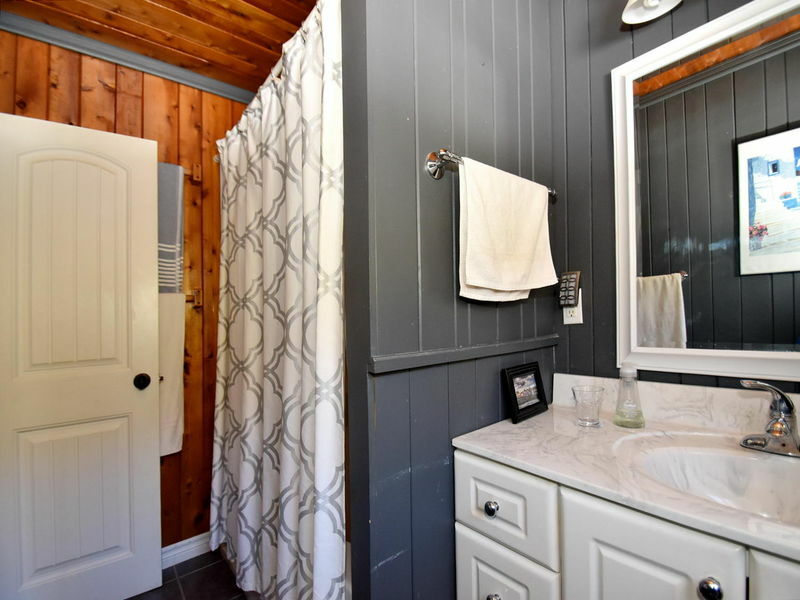 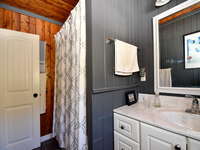 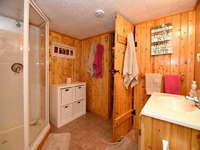 room & 2nd bath! 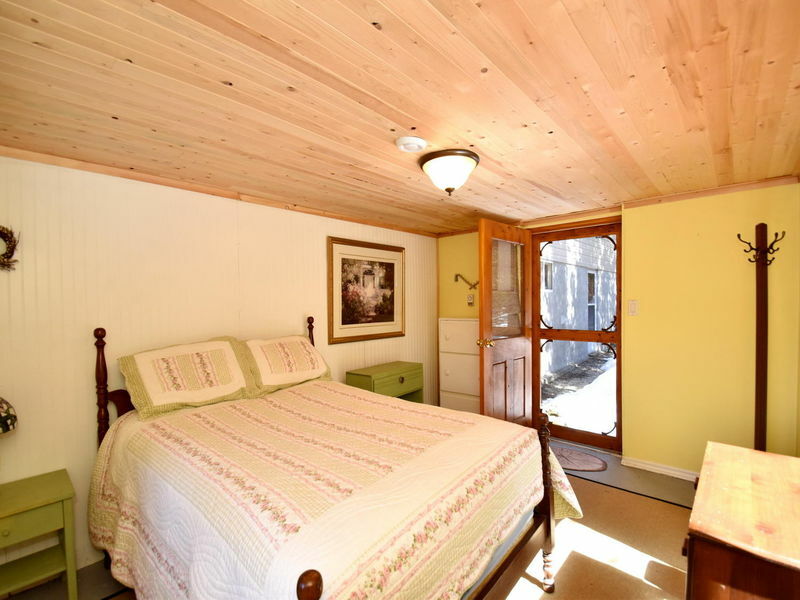 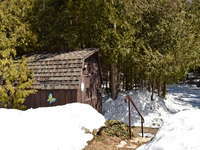 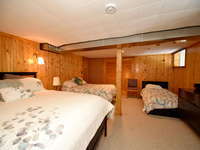 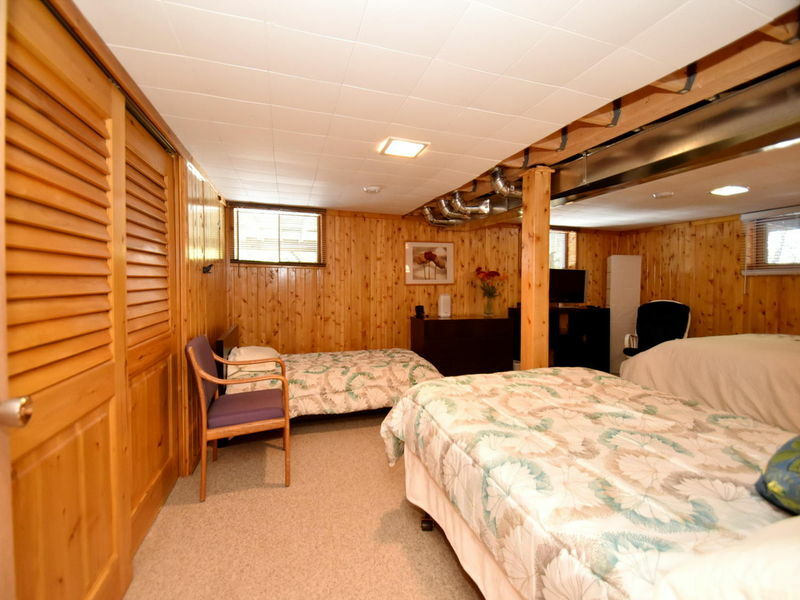 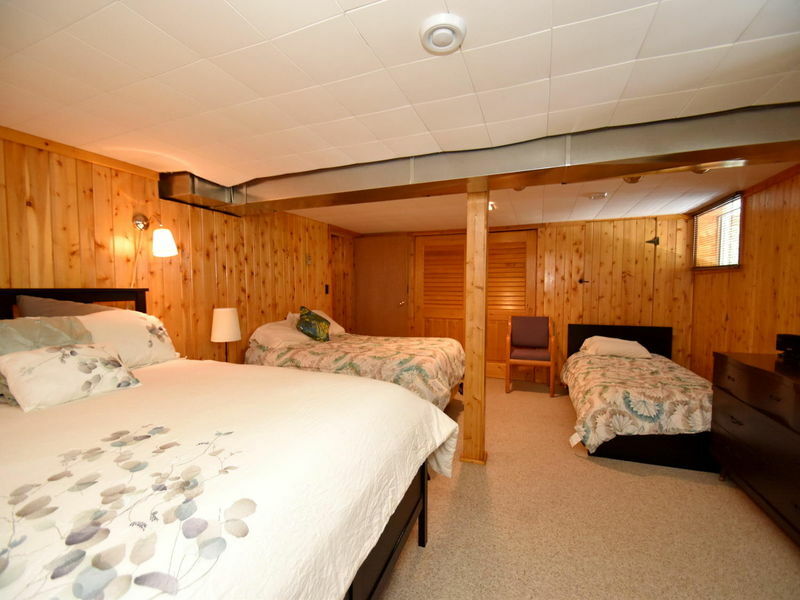 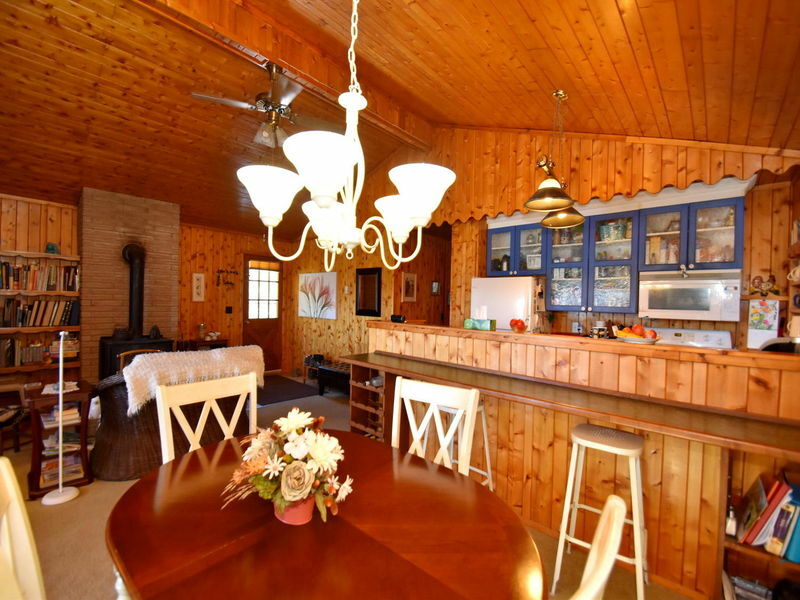 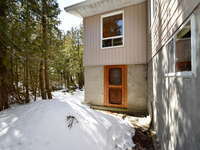 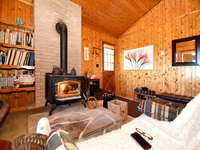 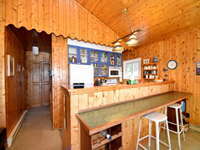 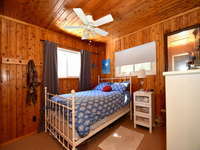 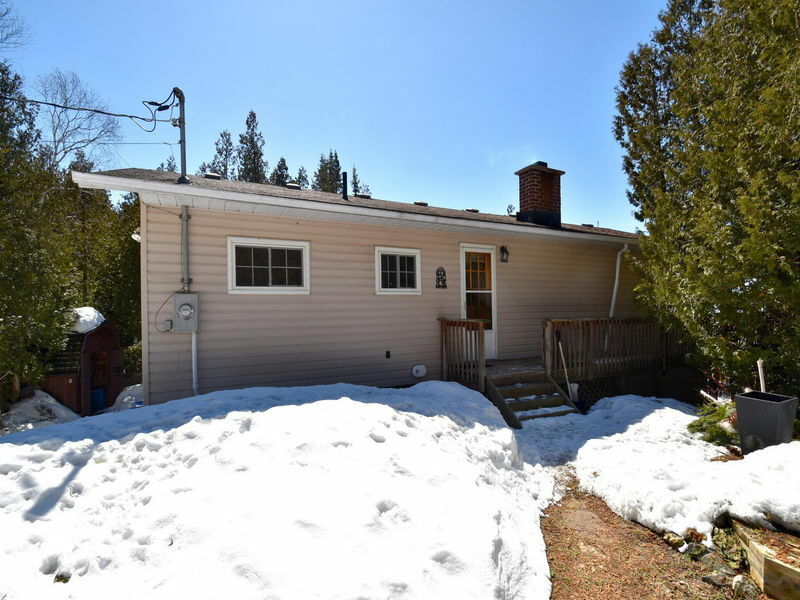 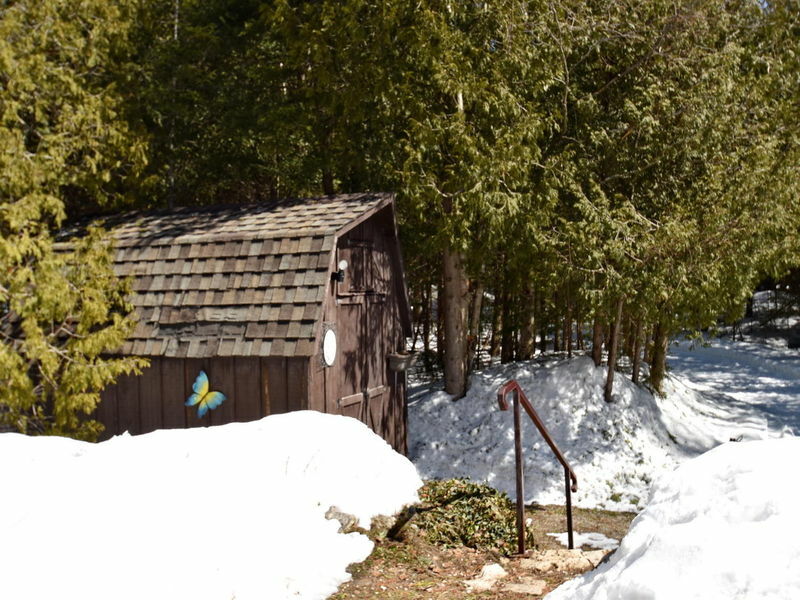 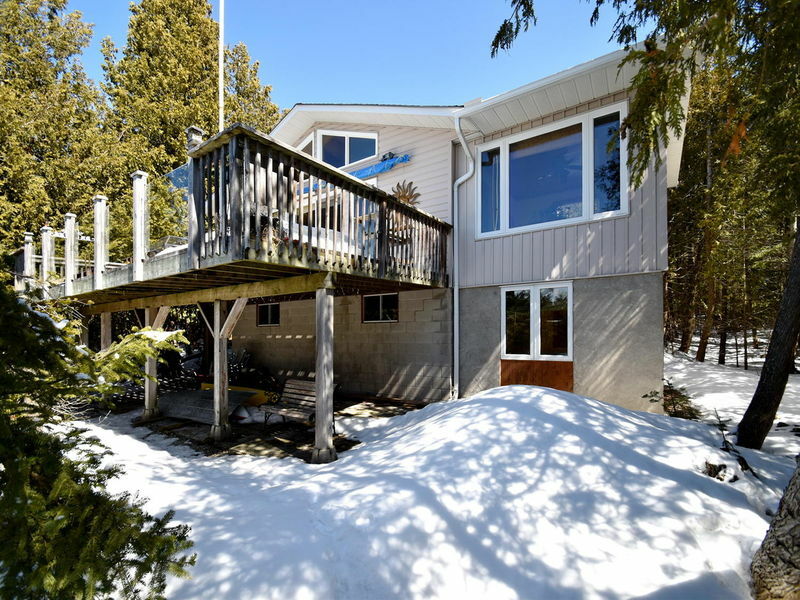 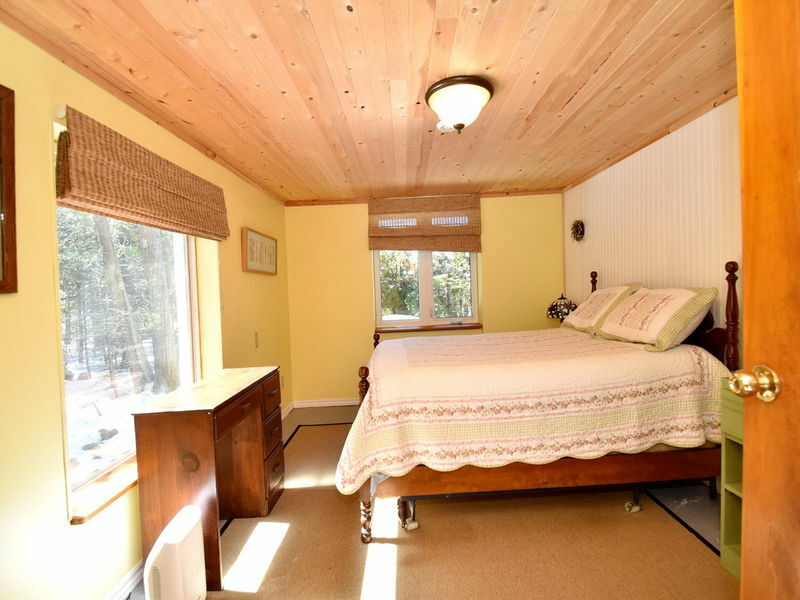 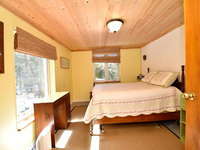 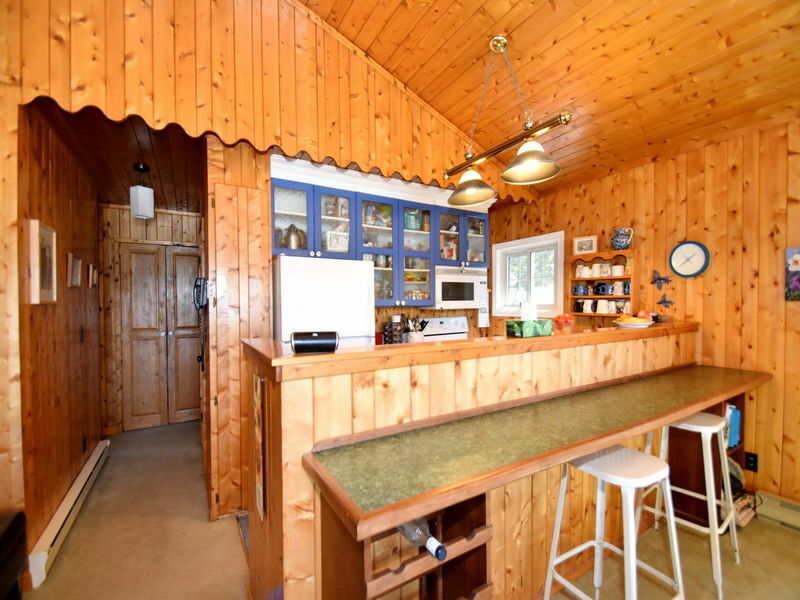 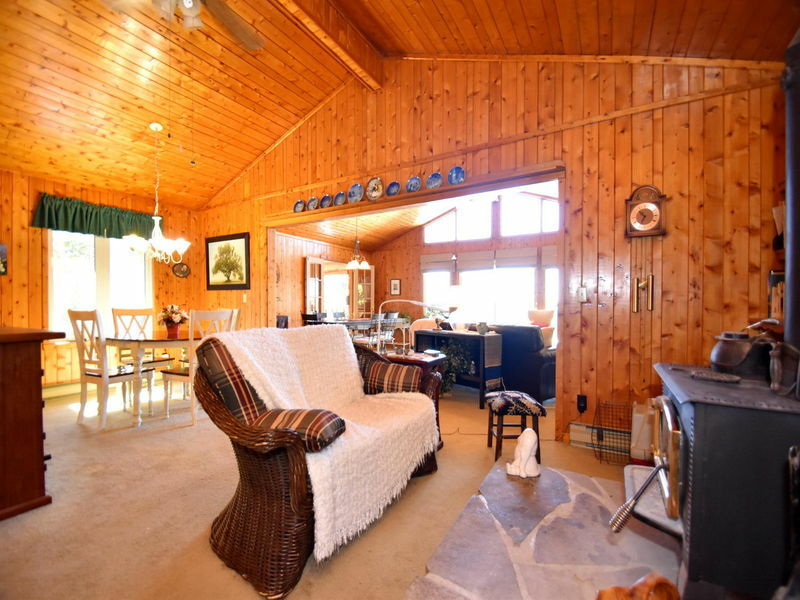 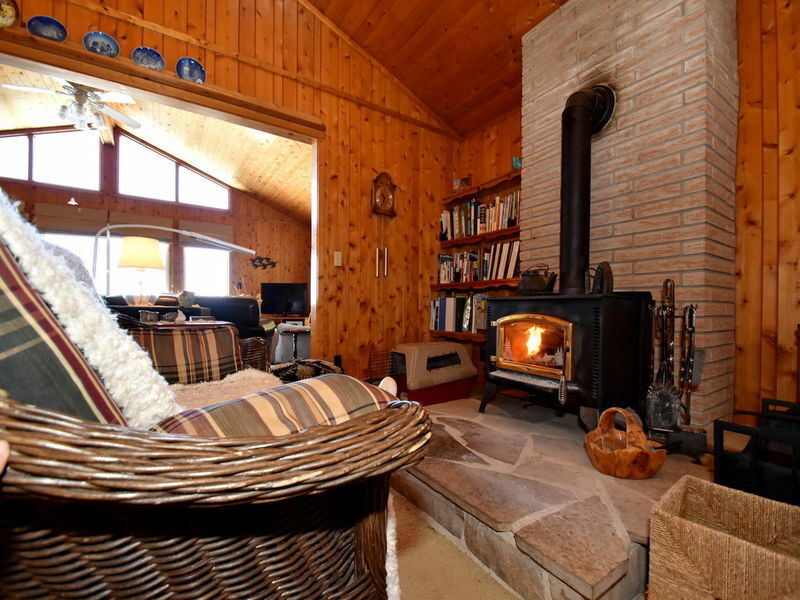 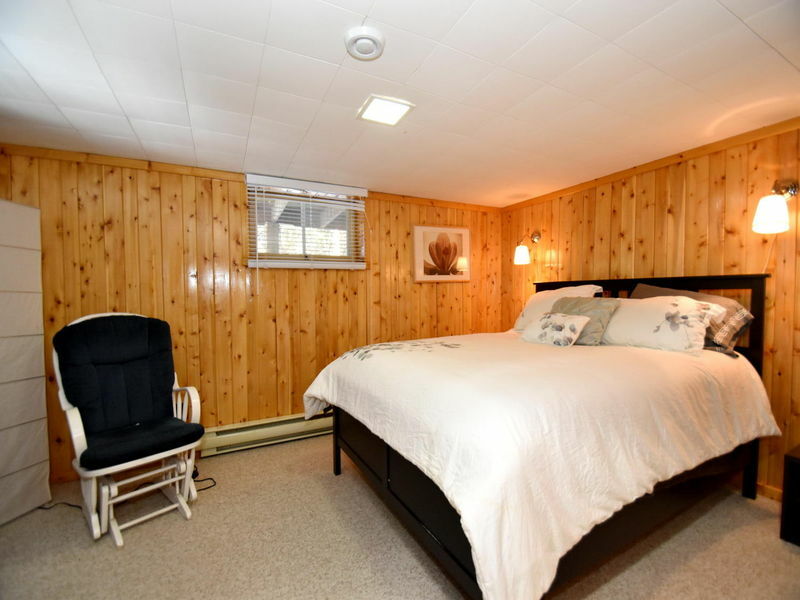 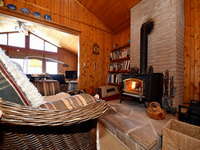 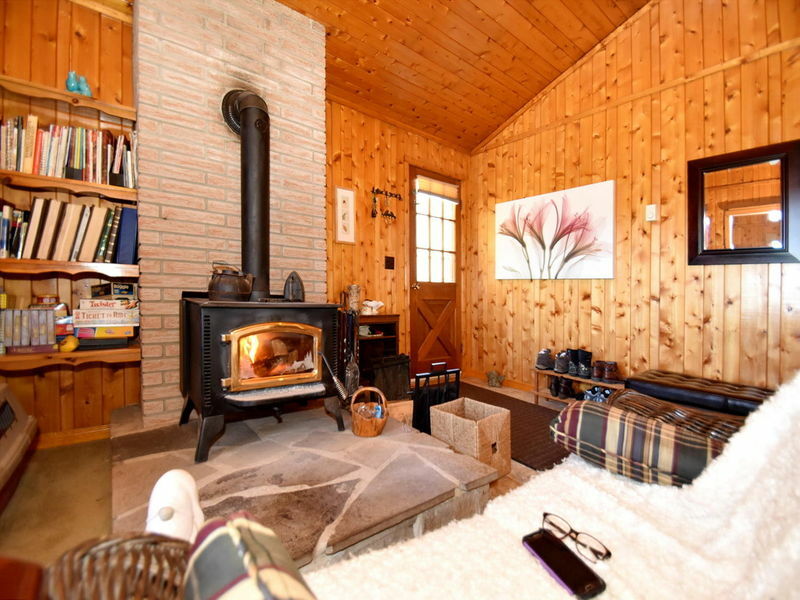 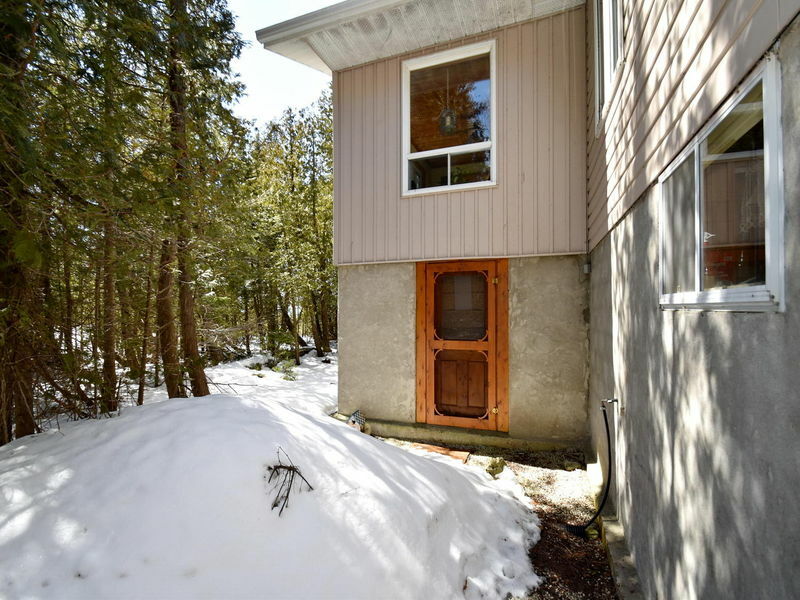 PLUS access to the heated bunkie steps away, kids will love it! 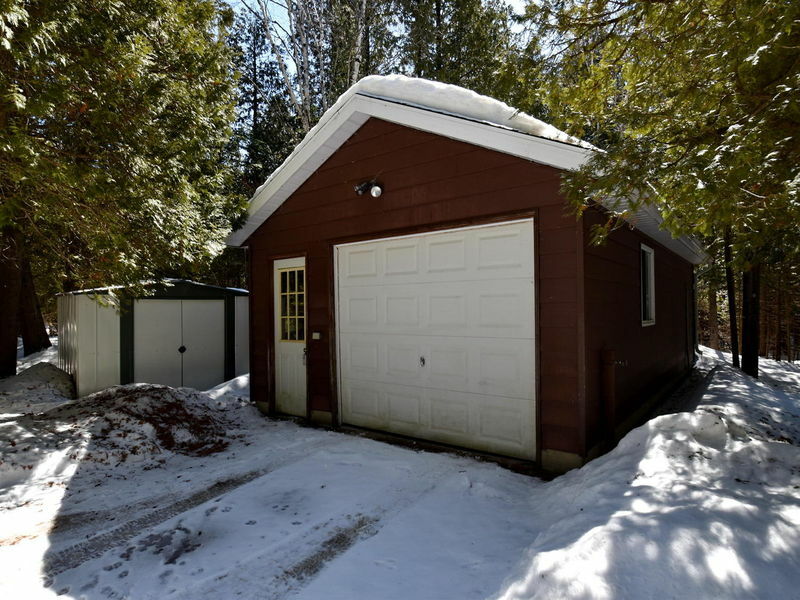 Hobbyists delight - insulated garage with a workshop! 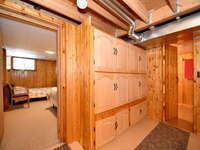 3 Storage sheds! 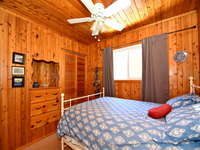 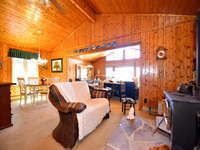 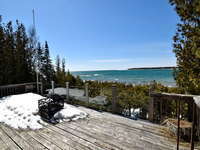 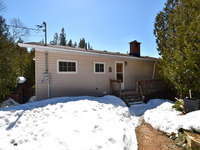 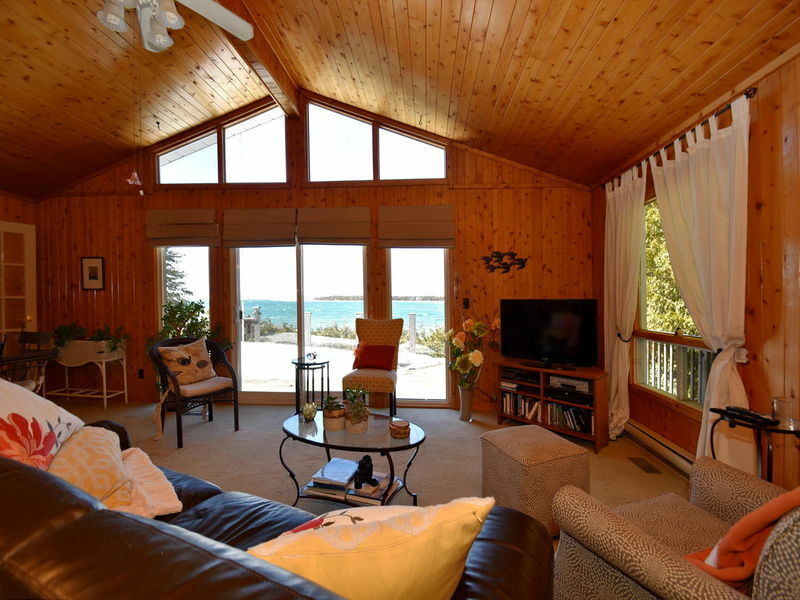 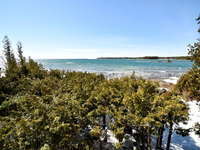 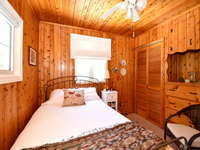 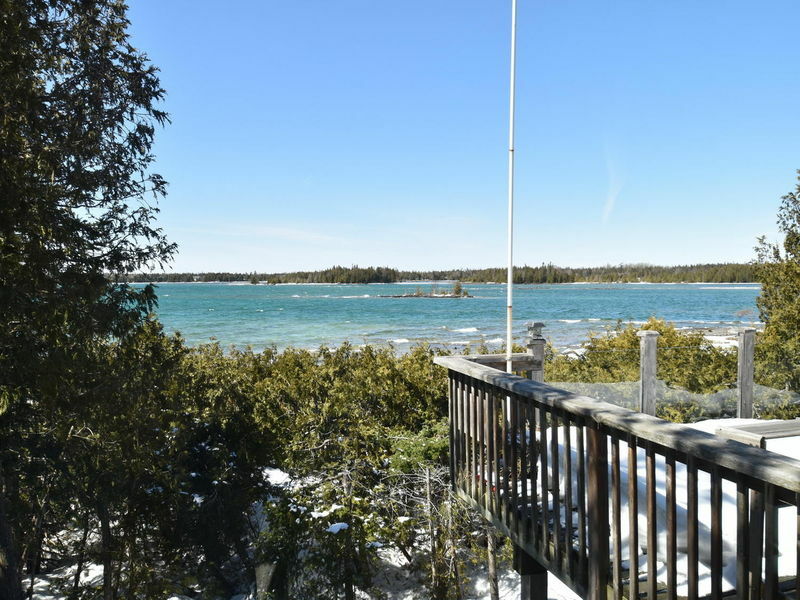 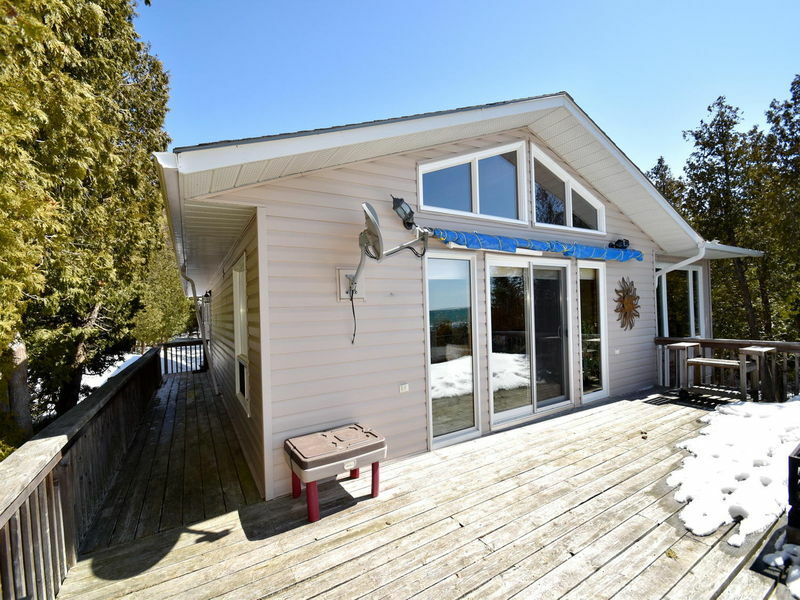 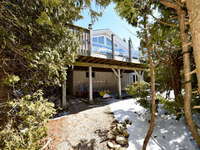 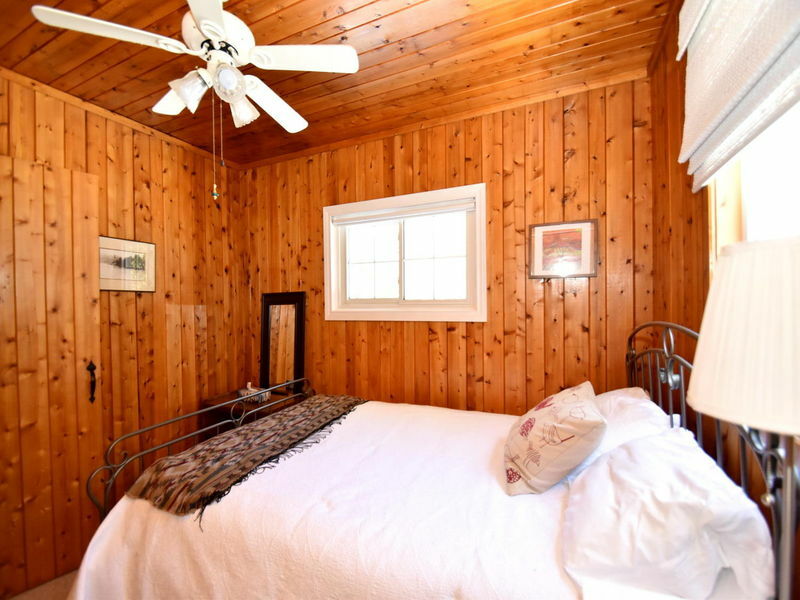 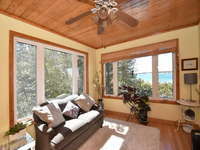 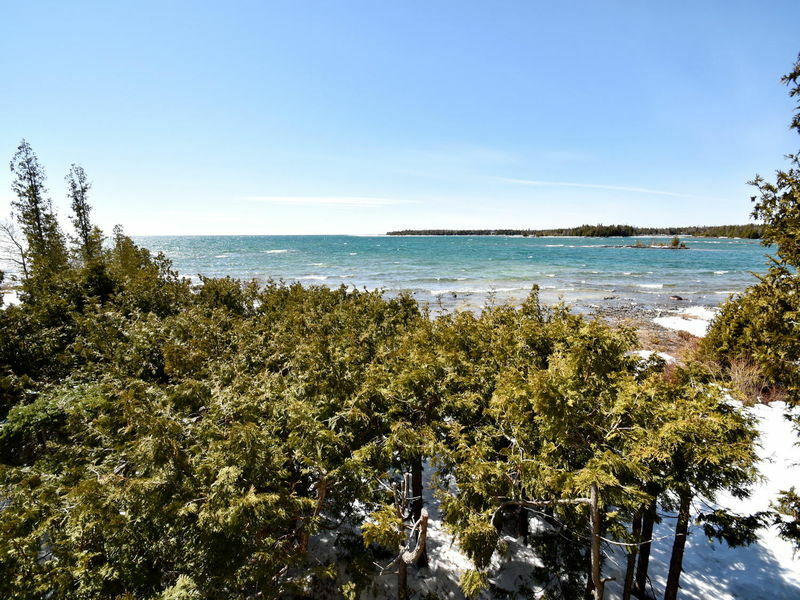 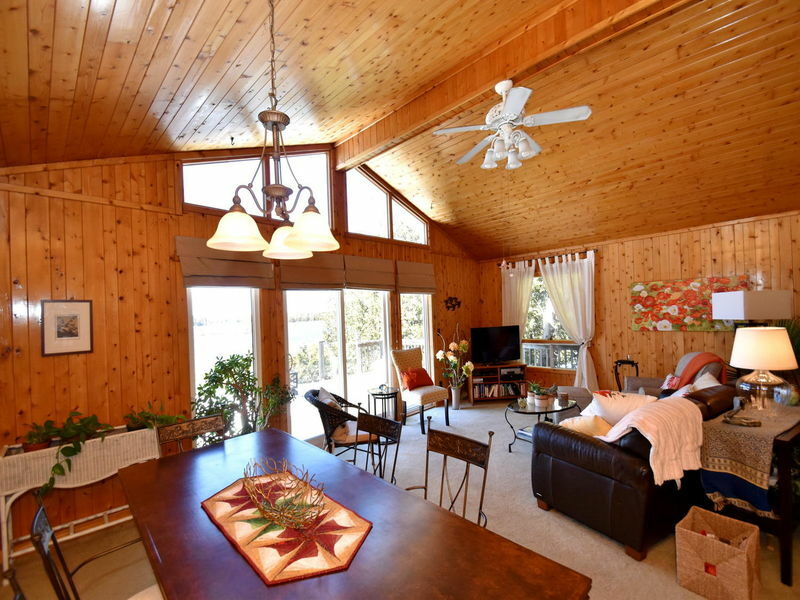 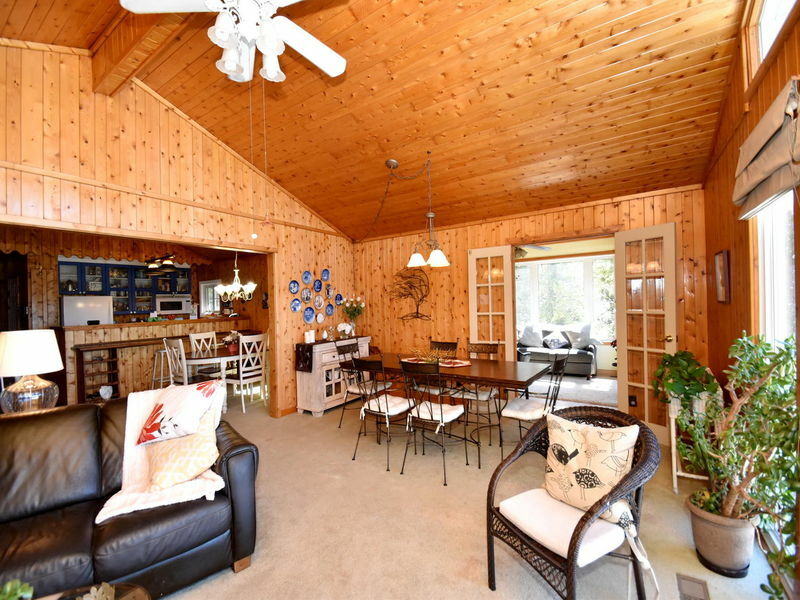 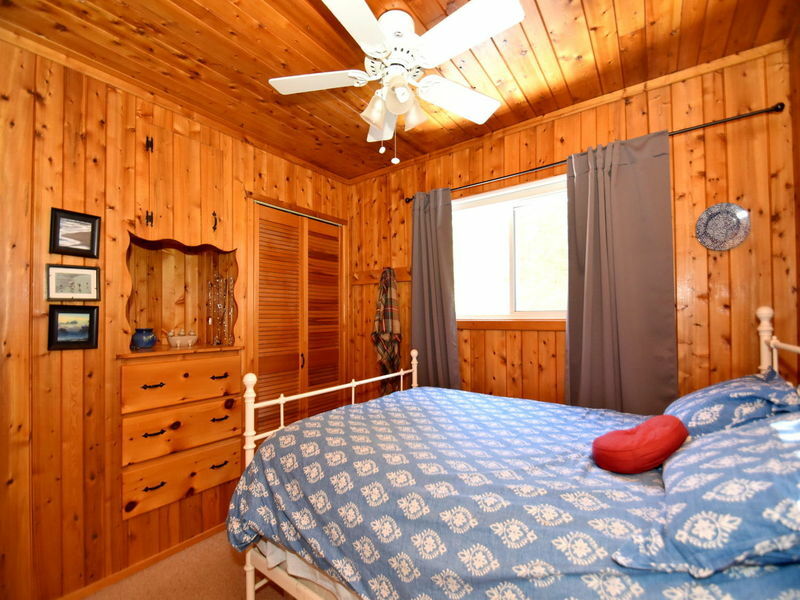 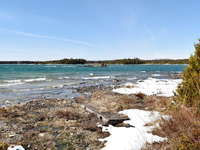 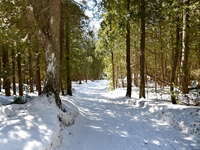 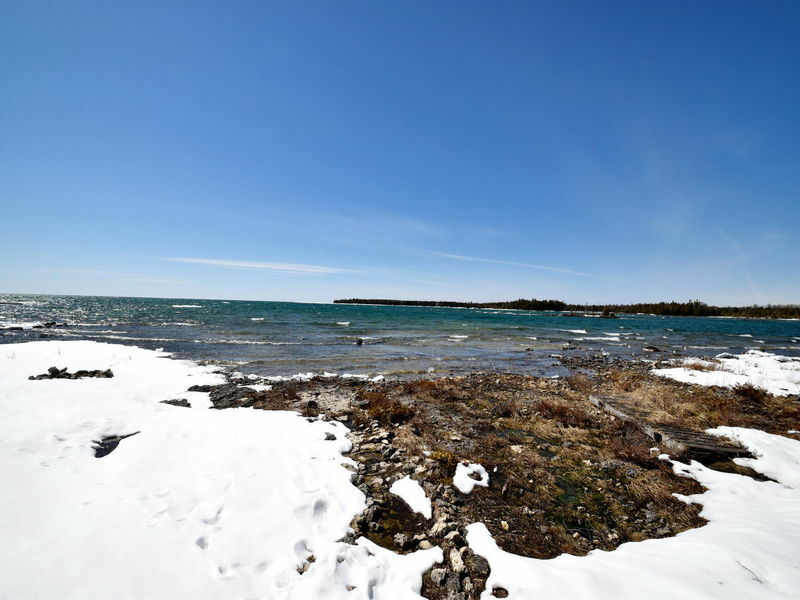 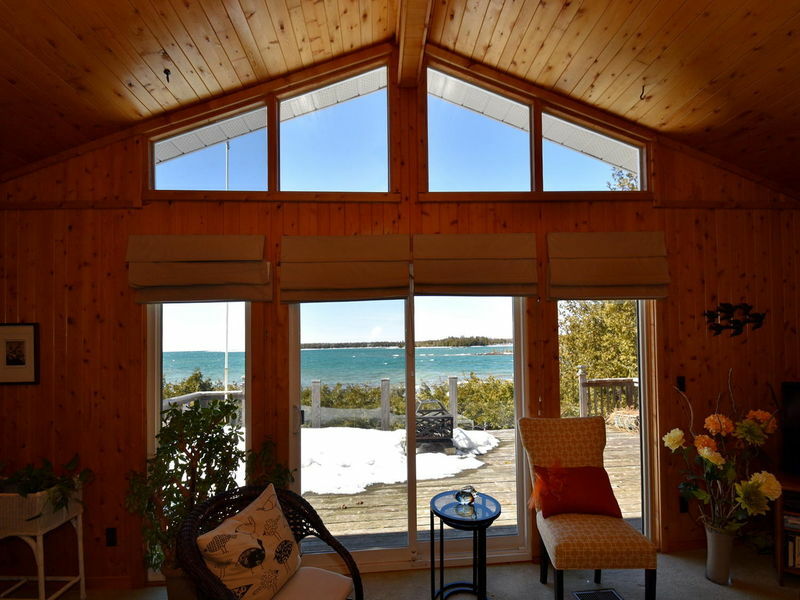 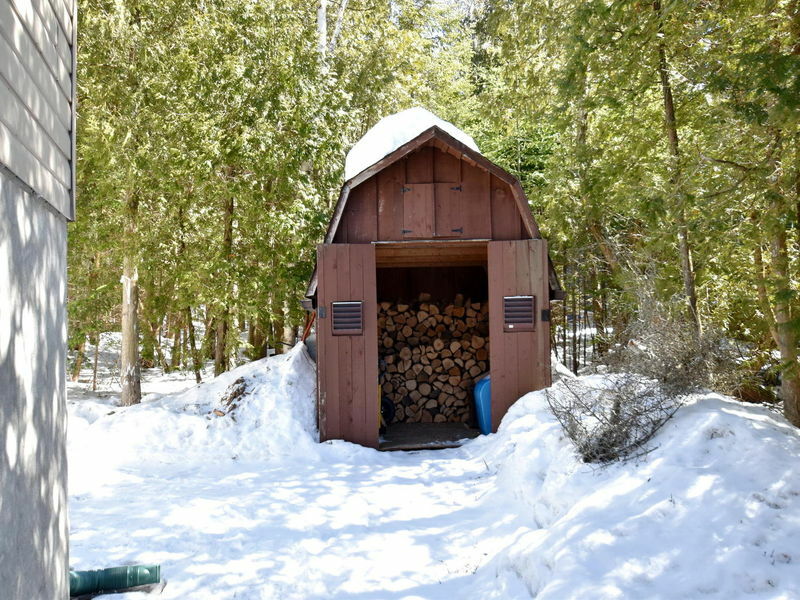 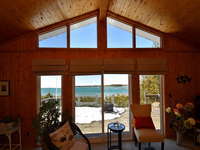 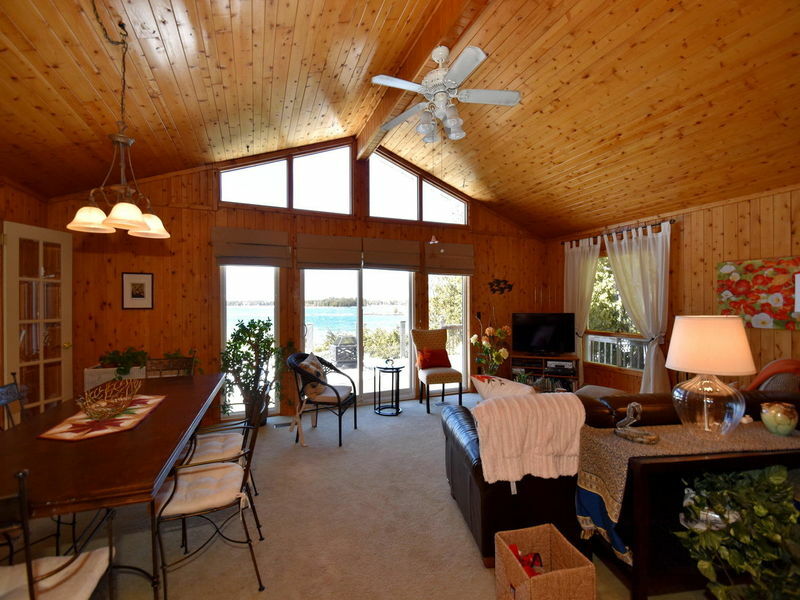 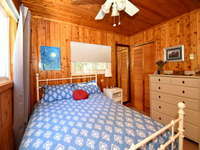 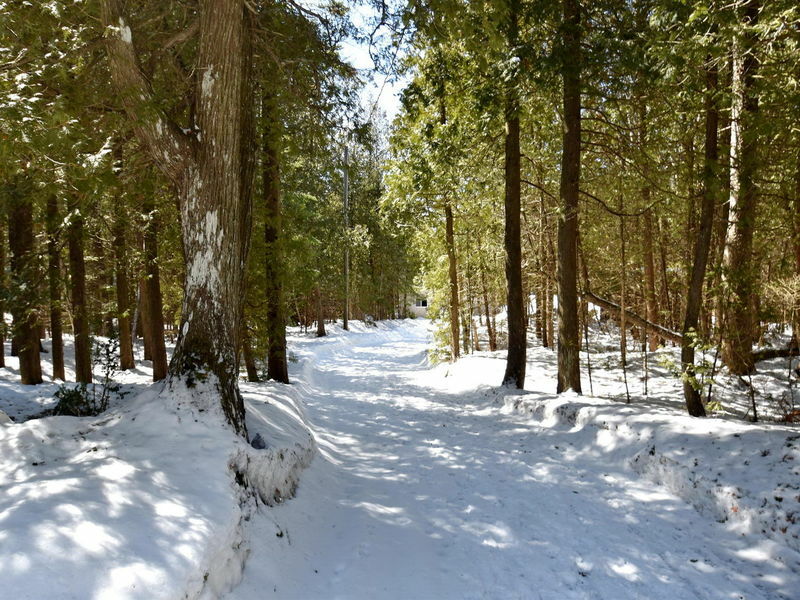 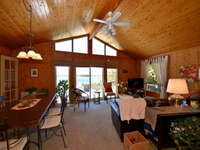 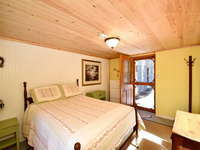 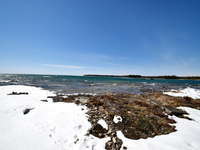 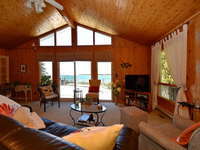 Located a short drive to Tobermory, the Grotto, sandy beach & more!